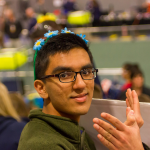 Head Coach, Head of Strategy, Members of Team 341, and my fellow FIRST community: my duty today is to report on the state of our robot and to set forth our responsibility, in the words of our coaches, to form a more perfect alliance. As we near the end of a new build season, I stand here ready to work with our team to achieve historic breakthroughs for all FRC teams. 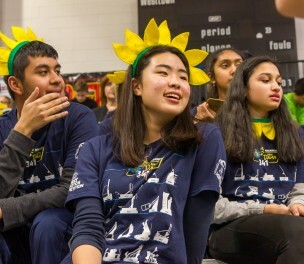 This year, Miss Daisy will recognize an important anniversary that shows us the majesty of Team 341’s mission, and the power of Team 341’s pride. We mark 20 years since the beginnings of what we now call Miss Daisy. This week, we have made that little team from so long ago very proud. There is a new opportunity in FRC, if only we have the courage to seize it. Victory is not winning for yourself. Victory is winning for our team. 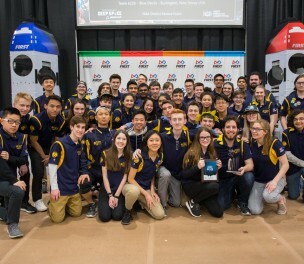 Team 341 received our parts from Penn State Great Valley and Computer Components Corporation, finished assembling and wiring our drivebase, and redefined the standards for Miss Daisy’s future. 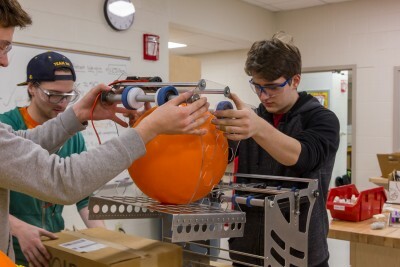 Now, we must step boldly and bravely into the next chapter of this great FRC adventure, as we create a new robot worthy of the gaze of thousands. An amazing robot is within our reach. In just 1 week since the last blog post, we have launched an unprecedented robot assembly process — a boom that has rarely been seen before. We have assembled a functioning cargo passthrough, begun assembly of our hatch intake, and drilled more than 20,000,000 holes in pieces of metal — something which almost everyone said was impossible to do, but the fact is, we are just getting started. Together, we can forge unknown territories. 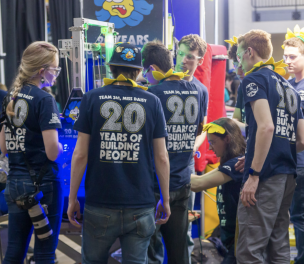 We can bridge old divisions through integration, craft bumpers, build new gearboxes, and unlock the extraordinary promise of Team 341’s future. The decision is ours to make. 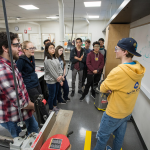 We must choose between linear actuator or leapfrog, safety glasses or blindness, and SolidWorks or OnShape. Today, I ask you to choose SolidWorks, because we already chose linear actuator and safety glasses for you. In these upcoming weeks, it’s time for Miss Daisy to get another robot reveal that matches her decency and embodies her strength. No matter the errors we face, no matter the wood we split, we must go forward together. We must continue assembling sandwiches for our linear actuator. We must keep daisy spirit alive in our souls. And we must always keep faith in Miss Daisy’s destiny — that one robot, with many gearboxes, must be the hope and the promise and the light and the glory among all the robots of the world!